I first met Craig Weston back in the late Eighties, when he was a young player at Belper Town. He didn’t stay too long at Belper in his first spell, and clearly destined to play at a higher level, he moved on to Grantham Town, Gresley Rovers, who reached an FA Vase Final during his spell, and Alfreton Town. Craig did eventually rejoin Belper as a player in the early Noughties before having a brief spell as Manager, only to then move on to Leek Town and latterly Long Eaton United. Craig’s parents ran the Spanker Inn at Heage, and during my days of living with my folks, myself and my Dad would make the odd journey up for a pint, and more often than not his Father would give us an update as to Craig’s most recent games and performances. He was a neat and combative midfielder, and perhaps the best compliment you could pay him was that he was most noticeable when he wasn’t in the team. If ever there was a vital cog in a side, then it was Craig. I saw a fair bit if him during a successful period playing for the Alfreton Town side of the mid-Nineties, and what a team they were, although in terms of characters, they were on another level with the likes of John McFadzean, Matt Walsh, Neil Pickering and Lee Hirst in the side. Bus trips to away games were not for the feint hearted! In fact on more than one occasion Craig gave me a lift home after the bus had returned, what with me being in no real state to find my own way back! When he returned to Belper he formed a midfield partnership with Richard Denby, and that was as good a midfield pairing you would see in that league at the time. When he did take over as caretaker manager following Martin Rowe’s departure, he did want the job full time but the decision was taken to give the job to Gary Marrow at the end of the season. Craig was unhappy, he’d kept the club up and felt hard done by, but while relations were strained for a period, that became water under the bridge. 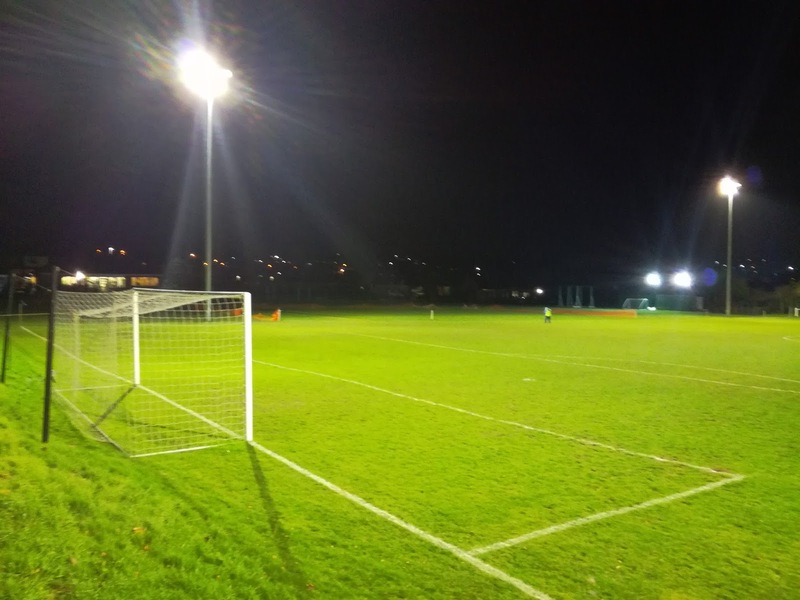 In more recent years, his son Sam has played for Belper’s academy and is a fantastic prospect, while in terms of his own involvement in football, he took the managerial reigns at Selston, and that’s been nothing short of a massive success. Going about their business quietly, Selston moved from the Nottinghamshire Senior League into the Central Midlands League. 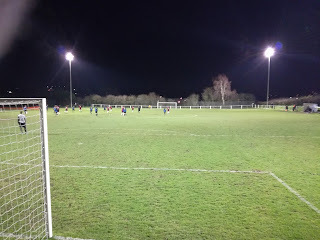 They won the Southern Division at the first attempt but it was Belper United who got promotion as the Parish Hall ground was not up to standard. Undeterred, they went out and won it again the following season, and this time, with ground improvements completed and floodlights due to be installed, promotion to the East Midlands Counties League was in the bag for a club that less than ten years ago was competing in the lowly Midlands Regional Alliance, and not even in the top flight of that. 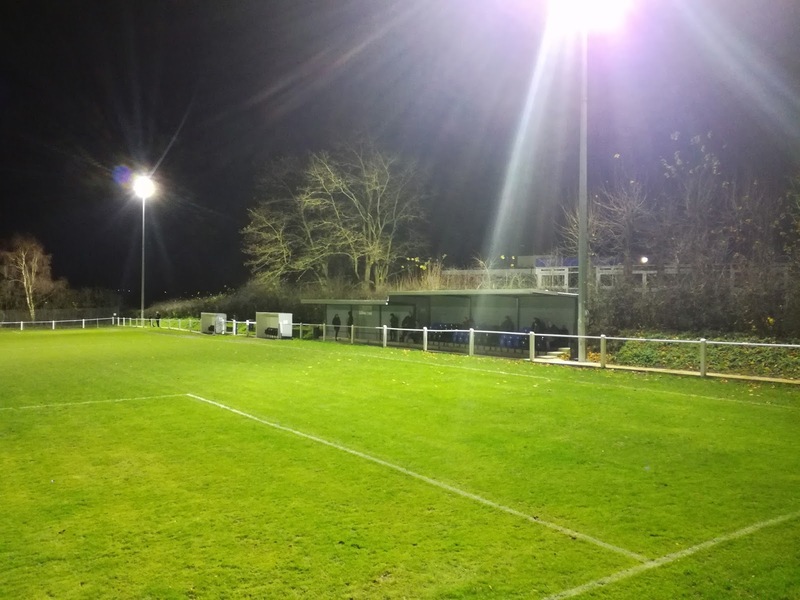 It’s quite a story, a story of a club and a community that has worked hard together to create a forward thinking and hugely respected organisation that the locals really want to get behind. Crowds rarely drop below three figures, and for a league that is pretty poorly supported on the whole, that’s a fantastic figure to be achieving. 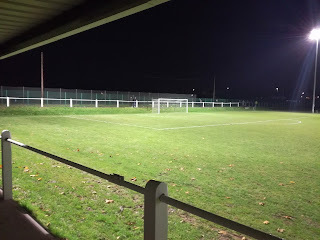 We mustn’t forget though, Selston did have a strong side back in the Nineties, ironically managed by the now Chairman of Alfreton Town, Wayne Bradley, but at the time they had to play home games at Alfreton’s North Street because the Parish Hall was deemed unsuitable for the level they were then playing at. Bradley’s story since is a remarkable one, and while Selston did fall back, there is no doubt now that this is a club on the up. 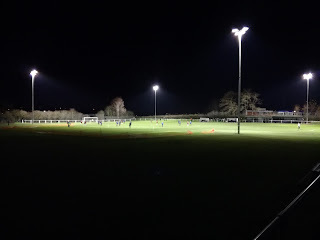 I was going to go to the corresponding game earlier in the season which was due to be the clubs first competitive fixture under the new floodlight, but that was postponed due to the Electricity Board failing to fit a meter! However, with meter now in place, it was time to go and have a look. After a slightly surreal pint in the quirky Bull & Butcher, what I found at the Parish Hall was smart set up. Some cover and some seats are located to the side of the dugouts, while behind the top goal is a large bank with a path running across the top that provides an excellent view of proceedings. Sharing with the cricket, one side is out of bounds and across the cricket field are the dressing rooms and the clubhouse, serving the usual array of football fodder and beverages. 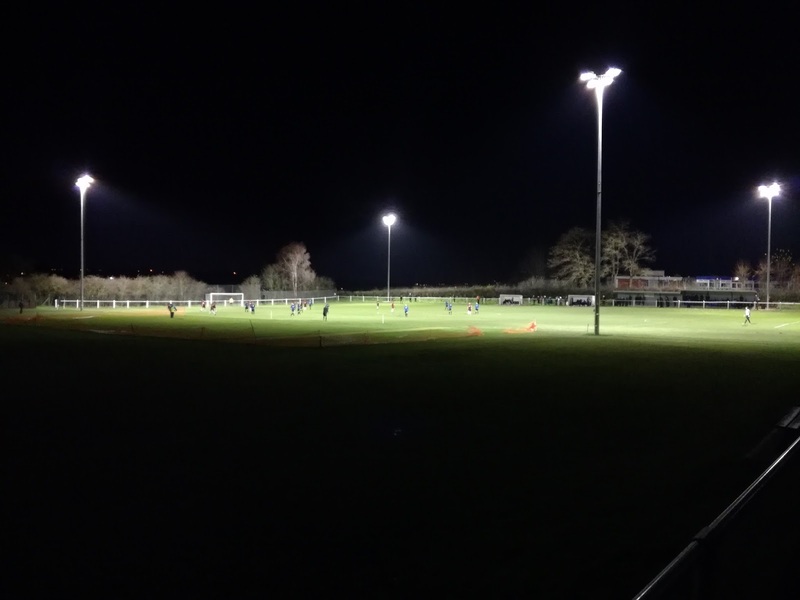 The floodlights are excellent, and clearly visible as you enter the village from the motorway side. A victory over Blaby would see Selston hit the summit of the league, and despite having to wait until the closing stages of the first half to take the lead via a Grant Hackett header, it was a fairly straightforward night. A really enjoyable evening, despite the bitterly cold weather, and what a very good outfit Selston are. The credit largely must go to Craig Weston for putting this side together and moulding them into a fine football team. I suspect clubs at a higher level have taken a look at what he’s done and wondered whether he would be able to do a job, and I’m sure he would, but I think being the sensible and down to earth bloke he is, he probably realises he’s onto a really good thing at Selston and considers it to be home from home. Not only that, he probably doesn’t want the aggravation the Northern Premier League might add to a manager’s workload. 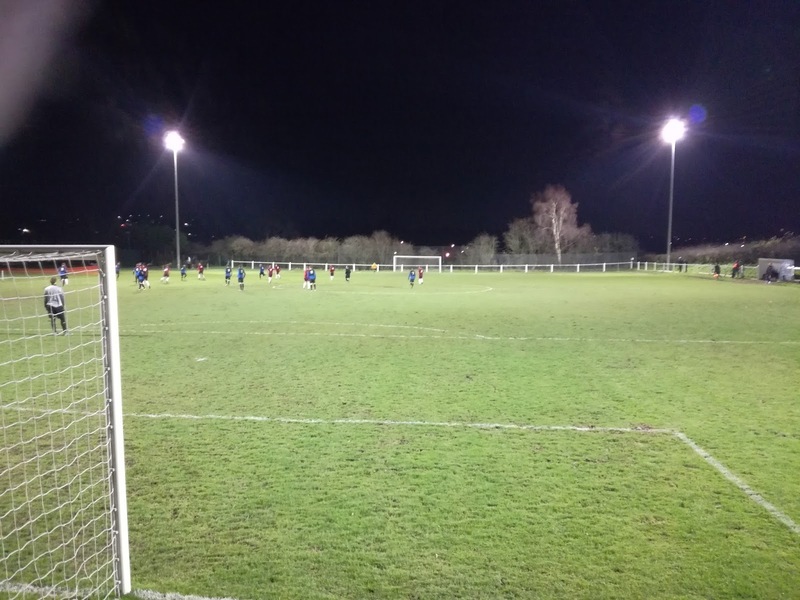 Selston are a club on the up, and on a freezing night 109 spectators turned up to watch the game. I’ll be back again, and I’m sure plenty of others will be too. Craig will no doubt continue to go about his business in the unassuming manner he’s renowned for, and with him at helm, I wouldn’t be surprised one bit if they were to claim their third title in successive seasons. Now that would be one hell of an achievement, but richly deserved for one of the nicest blokes in football you could meet.